Famous Football Players Who Converted To Islam – The list of footballers who have converted to Islam is not short at all. That’s why we gathered only 8 of the most famous football players who decided to accept one of the world’s largest religions. Some rumors have been debunked as well. So, let’s get started. 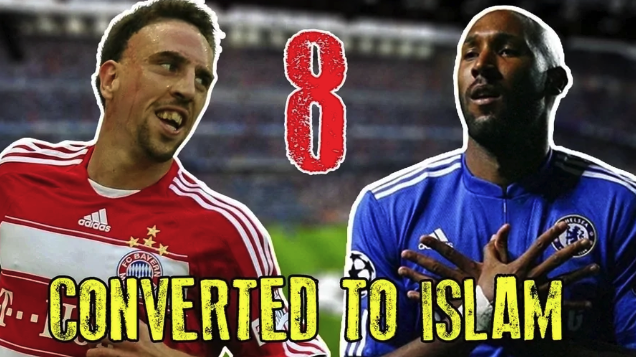 As we have already mentioned on our list will be 8 world famous football players who have converted to Islam and now are among the most popular Muslim players. Read carefully their stories. 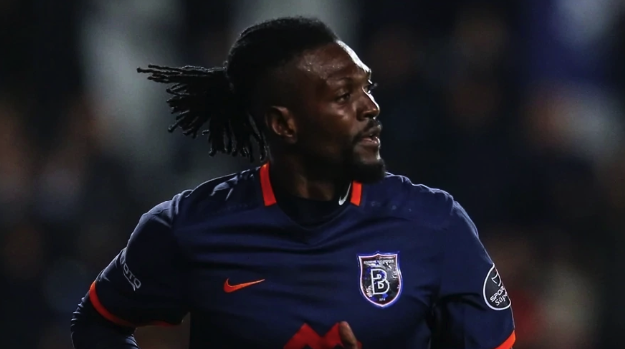 The former Togolese football player who currently strikes for Turkish club İstanbul Başakşehir, recently accepted Islam. You can watch the ceremony on Youtube. The truth is that the footballer didn’t make any public announcements that he is going to convert from Christianity which he was practicing. He posted many pictures of himself with a priest on Facebook with captions praising God though it is believed that he is not a Christian anymore. 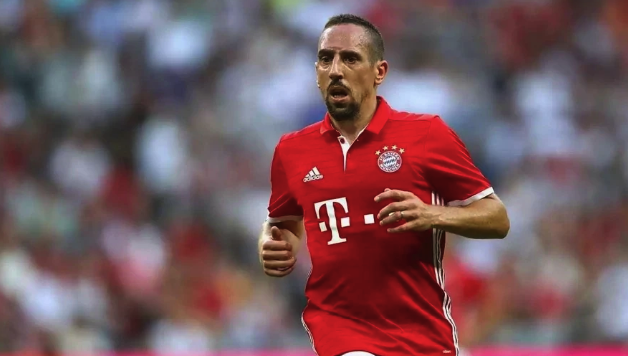 Franck Ribery was born on 7 April 1983. He converted to Islam in 2002. According to Ribery, his wife Wahiba who is of Algerian origin was the main reason for his conversion. He added the name Bilal after the conversion. In 2002, Bayern Munich’s midfielder took the Shahada, affirmed the oneness of God and accepted Muhammad as his prophet. “Religion is my personal thing. I am a believer and since I converted to Islam, I think, I became stronger, I became mentally and physically stronger. Religion did not change my personality or my perception of the world. I pray five times a day, I do it because it enables me to be released and I feel better afterwards”. This is another reason why he prefers Islam. There was quite an embarrassing story when Franck Ribery was drenched in beer by Jerome Boateng. As you might hear, Boateng has converted to Christianity from Islam. Despite Ribery had asked Boateng not to do that because Islam forbids alcohol, Boateng didn’t want to listen which made French footballer very angry. Eric Abidal was born on 11 September 1979. He accepted Islam in 2007 when he married Hayet Kebir and changed his name to Bilal Eric Abidal. Similarly to Franck Ribery, when converting from Catholicism to Islam Abidal was influenced by his wife who is, by the way, also of Algerian origin. Here is what Abidal said about his conversion: “All the natural progress. Options converted to Islam not because of my wife, but a gift that had suddenly appeared. It really happened there. Flowing away and made me feel happy. I embraced Islam with full confidence”. 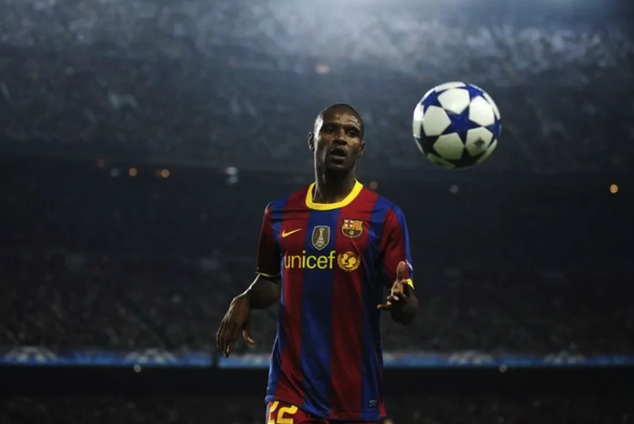 Abidal has built a successful career and won a lot of major honours with Lyon and Barcelona where he played as a defender. In 2011, he was diagnosed with a liver tumor and underwent two liver transplant surgeries. It put an end to his career. He retired in 2014, at the age of 35. The French footballer converted to Islam from Christianity at the young age of 16 by the influence of his childhood friends. Unlike his fellow French national team member Franck Ribery, Anelka kept his religious beliefs private for a long time, until 2004, when he underwent a formal conversion in UAE. 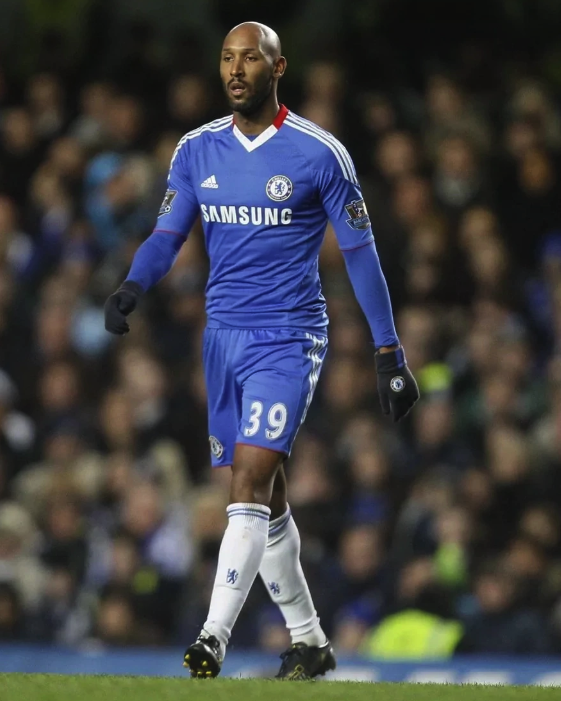 Nicolas Anelka adopted the Muslim name of Abdul-Salam Bilal. Anelka once said, “I was sixteen when I converted to Islam, beyond the fraternal aspect, my conversion did not change my life. I was already living by the same principles — being righteous, having values. I used to fast during Ramadan because I admired the people fasting around me. What made me convert was that I had that certainty that Islam was for me. I felt this relationship with God, and that enlightened my life. I had that conviction in my heart that that was my religion. I am pleased to be a Muslim, a religion of peace and I learned a lot from Islam”. Danny Blum was born on 1 January 1991. He is currently a midfielder for Las Palmas. 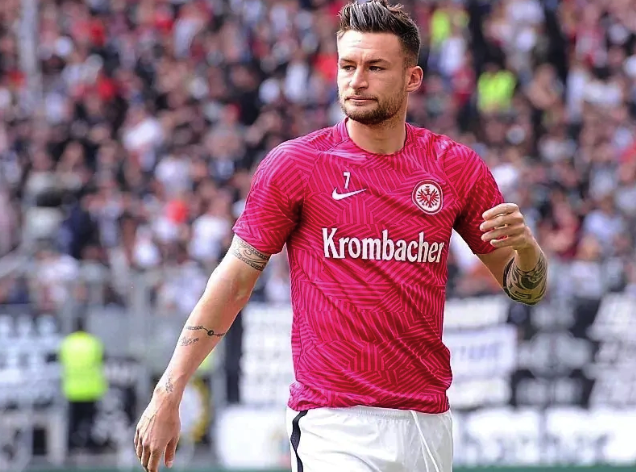 The German football player announced his conversion to Islam from Christianity in the summer of 2014, and the formal conversion took place in January 2015. According to Blum, he prays five times a day and eats halal food. He describes Islam as a religion of hope and strength. During Danny Blum’s professional career, he played for such German clubs as SV Sandhausen, Eintracht Frankfurt, FC Nürnberg and other. Emeka Ezeugo was born on 16 December 1965 in Nigeria. He is a retired football defender, midfielder and coach. 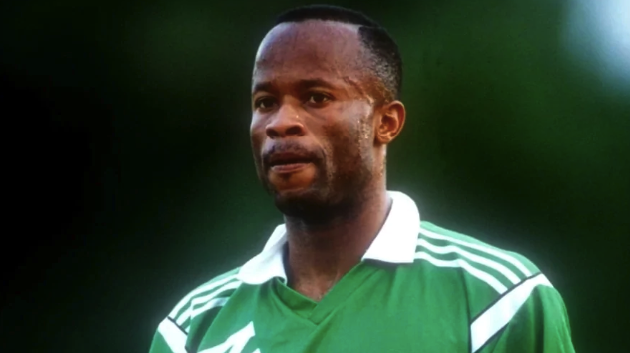 A former Nigerian football star who played in 1994 World Cup converted to Islam in February 2012 when he was a coach of Mohammedan Sporting Club of Bangladesh. According to Ezeugo, he embraced Islam after being inspired by the life of Prophet Mohammad. Born on August 6, 1983, Dutch professional football player Robin van Persie is believed to be one of many celebrities who converted to Islam. While many fans believe van Persie is Muslim, he claims that he is “not a Muslim nor a Christian, nor Jew”. These rumors might be caused by the fact that Dutch footballer is married to a Moroccan-Dutch wife, Bouchra van Persie, who is of Moroccan origin and who has accepted Islam. He has never talked directly about his religion believes, but according to the reports, he is a non-practicing Muslim. 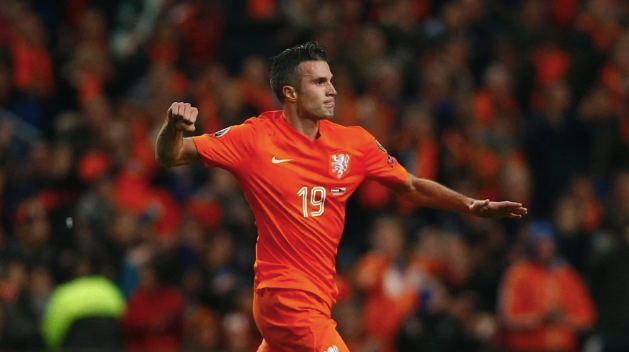 Robin van Persie played for Manchester United, Feyenoord, was a captain for Arsenal, a striker for Turkish club Fenerbahçe and is the captain of the Netherlands national team. A retired French footballer player announced his conversion to Islam in December 2008 on the former Aljazeera Sports Channel. While such famous French football players as Franck Ribery and Eric Abidal are well known for being Christian convert to Islam, many people may be unfamiliar with the names of other footballers who converted to Islam, for example, Thierry Henry. In the interview with the Qatar-based channel, Henry told that Franck Ribery and Eric Abidal had played a significant role in his conversion to Islam. According to Henry, he feels closer to Islam than any other religion, and he respects his Muslim friends. He told that if he were to convert to a religion, it would be Islam. During his professional career, Thierry Henry has been playing as a striker for Arsenal for 8 years. Also, he played for Monaco, Juventus, Barcelona, New York Red Bulls. Most of the football players listed above are famous celebrities who accepted Islam formally or admitted they are Muslims without formal conversion. Hope you enjoyed reading and found some useful info! 0 Response to "Famous Football Players Who Converted To Islam… No. 8 Is Premier League Legend (Photos)"